Language policy is important throughout the world, and there is an extensive literature and many on-line resources about it. Some of this is summarized in Wikipedia. Language Policy does not necessarily concern the learning of other languages, whether “foreign” or “minority”, but can often be about the official languages within a state and about the place of minority languages. The European Union claims to be the first political entity with a specific policy on Multilingualism. This has been developed since the formation of the European Economic Community when equality of status was given to the 5 original official languages of the Community. There are now 24 official and working languages in the Union. The most important documents on Multilingualism are the 1995 White Paper on Education and Training – Towards the Learning Society which set out as a key objective – The Learning of 3 Community Languages; and the more recent Framework Strategy on Multilingualism which set out a comprehensive strategy for the new millennium, including support for so-called minority languages. EU language policy since 2000 has been a central part of the Lisbon Strategy with its central aim of making the EU “the most dynamic and competitive knowledge based economy in the world”. It was further clarified at the Barcelona Council of 2004, which refined the meaning of “3 community languages” as “mother tongue plus two” and called for “further action … to improve the mastery of basic skills, in particular by teaching at least two foreign languages from a very early age”. In 2004 an Action Plan was agreed with member states, the outcomes of which were reported in 2007. 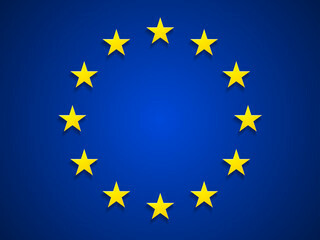 The European Union has also been an important source of information about language learning – languages learnt, numbers of learners and standards. A Eurobarometer survey into people’s views about languages and about their own competence in languages was published in 2001 , 2006 and 2012. More detailed statistical data is provided by Eurydice in their periodic reviews of Teaching Languages at School across Europe. In 2011 an important survey was carried out into the language competence of 15 year olds in 14 European countries including England – The European Survey on Language Competences. Since the English results were collated later than the others comparative data for England is to be found in an Appendix (p.231). The last significant policy publication from the European Commission on languages was the Communication entitled An Asset for Europe and Shared Commitment (2008). Since 2010 the importance of Multilingualism has been downgraded in the Commission. The post of Commissioner for Multilingualism was subsumed into the work of the Commissioner for Education, Culture, Multilingualism and Youth in 2010 and since 2014 there has effectively been no portfolio for Multilingualism. A summary of the EU’s current activities on languages can be found in the section on Multilingualism in the European Commission’s website. The Council of Europe has played a major role in supporting Multilingualism – which it regards as the characteristic of a society – as well as Plurilingualism – or the ability of individuals to operate across languages. Perhaps the major contributions of the Council of Europe have been in the fields of language teaching, learning and assessment, most notably through the publication and dissemination of the Common European Framework of Reference for Languages (CEFR), and through the work of the ECML in Graz. Policy on languages has also been central to its work since at least 1954. The Council has a Policy unit based in Strasbourg which has made a major contribution to policy development across Europe. In particular it has been responsible for the production of 17 Language Education Policy Profiles (2 more in preparation) and for a Guide for the development of language education policies in Europe. Recent priorities of the Council of Europe have been The Language(s) of Schooling, Migrant languages and Intercultural Education. Details are available on the Policy Unit section of the website. Despite European claims, it is certainly the case that policies for multilingualism exist in other parts of the world. This is an area of the website that we would like to develop further in the coming year. Of immediate interest are the policies developed in recent decades in Australia and in South Africa.